Is your website ready for digital marketing? Check out 6 essential elements you need to fix before you launch your campaign. Digital marketing is what me and my team does every single day. Our lives solely depend on helping businesses get more out of their websites. Till date, me and my team have worked on more than 2000 business websites. Seriously, not joking. Not all of those 2000+ websites had success with digital marketing. You know why? They were not marketing ready. What is a Marketing Ready Website? A marketing ready website is one which has most, if not all technical elements in place before a single marketing dollar is spent. A marketing ready website will be technically solid, talk to the potential visitors in a clear way and help them make a purchase / conversion decision. Theoretically, all websites should be marketing ready. Most businesses today get their websites designed from agencies or freelancers. They spend their hard earned dollars and tie working with them to get a website. Professionals should take care of these things, right? Sadly, I have not come across a single business that is satisfied with their website, which is good in a way because a website is never a static piece that you can ignore once built. However, most complaints revolve around, “It just took too long to get the site live”, “I feel I need a holiday after building my website” - sounds familiar? Frankly, most websites that we work on are not those outdated, 90s style cringe worthy websites (yes, we’ve all made those), but modern looking websites. Peel their cover, look under the hood and you will find tonnes of such websites built on good themes, simply not adding enough value for the businesses that invested in them. So, what do we do? The first few weeks of a marketing engagement is usually focused on fixing technical issues with the website. As a marketer, it pains me to spend time in getting a website marketing ready - the same time and marketing dollars could be utilized far more effectively in doing real marketing stuff. If you are working on a website with your website designer / developer / freelancer, please make sure your website ticks the following points before you give a sign off to them. The assumption here is that your new website’s design is modern and conforms to generally accepted design standards of today. A slow loading website is bad for business. Customers generally expect a web page to load within 2 seconds. Conversion rates from a website are, therefore, highest if a website loads within 2 seconds. For every additional second, conversion rates drop by 7%. If your website has loading issues, ask your web developer to fix them! Check your website’s page load time here. Mobile devices account for a larger share of visits for most industries today. 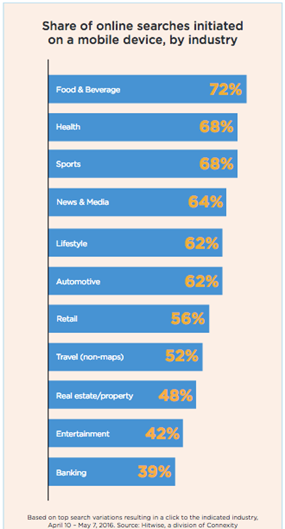 A study of Hitwise, shows a breakup of % of mobile searches for various industries. Clearly, if your website isn’t responsive, you are driving away visitors and potential customers. Your website is your marketing vehicle and it should serve a clear purpose. What do you wish to achieve from your website? Get hired? Sell a product? Get a booking? Too many websites, do not convey a purpose very clearly. Why is this important? Most visitors to your website (either from a Google Search, or clicking an ad or referral traffic) are driven by an intent. 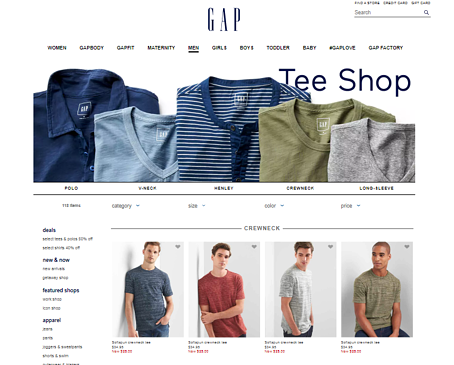 If you were selling t shirts and someone looking for t shirts came to your site / landing page, they need to find the offer right at the outset. Put in some photos with a buy now button and you have better chances of retaining your visitors. 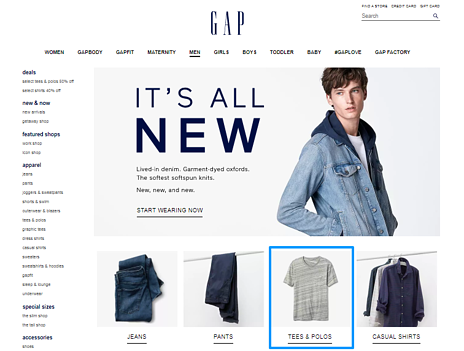 Speak to your web designer and make sure you are putting the right CTAs in the right place. There is never a good excuse for poor content. Your website, like I said before, is your marketing vehicle and your business’ voice. If the voice isn’t clear and doesn’t talk to your visitors in an easily understandable language, get ready to say goodbye to them! You have a few seconds in which to capture your visitors’ attention and get them hooked. Be crafty with words, but don’t go overboard. Spelling and grammar mistakes are a total no no. What’s the solution? At times, editorial revisions. Review your content with a microscope (or hire an editor) to root out all typos, grammatical errors etc. If the issue is with messaging, rewrite it until you get the messaging right, or hire a good content writer to help you out. Remember, you won’t get content right at the first go. A good website copy evolves over a period of time and is a result of continuous tweaks and improvements. I once worked with a real estate developer who wanted his brand’s signature tune to auto play every time someone visited his website. Regardless of how good or bad the tune was, this was a sure shot way to drive away traffic. Ditto with videos that auto play and are thrust upon the visitors. True, videos are excellent and should be present on your website, but stay away from having them auto play. Similarly, if you have too many pop ups or advertisements, these can prove distracting and can potentially drive away your traffic. This may sound like a difficult list to follow, but trust me, the effort is worth it. Speak to your web designer / agency / freelancer today to check if they are incorporating these basic elements to make your good looking website, functional, business friendly and marketing ready.